The range we offer to the customers are stringently packed and delivered as per the customers' requirement and convenience. Quality control is a huge part of our company and we make sure, all our products are quality assured and trustworthy. 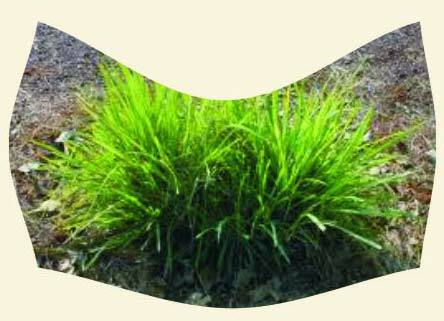 Palmarosa also known as Indian Rosha or Motia or Tikhadi, This perennial grass is native to southeast Asia, especially India , and it is cultivated for its oil. The essential oil of this plant, which contains the active compound geraniol, is valued for its scent and for a number of traditional medicinal and household uses. Because it has the fragrance of Rose, it is called rosha grass. Fortunately, Indian Palmarosa has been appreciated by the global/ international market and therefore, it demand has considerable increased. Because of this, a lot of Indian farmers have taken great interest in its cultivation. Palmarosa “Gramineae” is Multilateral and it botanical name is Cymbopogan Martinii. Two of its species is very popular – Motia and Sophia. Though both of them look alike, but Motia is more widespread a plant whereas, Sophia is more close kint. There is also difference in the colour and fragrance of the leaves. Therefore, the oil extracted from them is different and has different purposes. Motia species has about 855-92% Geraniol and Sophia about 60-70%. Hence, Motia species is considered more supreme. Chemical Composition of Palmarosa Oil : The main Chemical component of Motia species of Palmarosa is Geraniol (75-85%), Geanyll Acetate (6-12%), Citrilol (5-6%), Linalool (2-4%), and Citral. Apart from these components, Palmarosa also has other minute elements like Alpha Pinene, Beta Pinene, Gamma Pinene & Alemin. to the lasting rose-note it imparts to the blend. It also serves as a source for very high grade geraniol. esters that have a permanent rose-like odour. Apart from being used by Cosmetic(Beauty Products) And Perfumes Manufactures, Palmarosa oil is also used in the manufacturing of various medicines. The oil is rich in the active compound geraniol, which makes it suitable for many medicinal and household purposes. Palmarosa oil is antifungal, anti-viral, bactericide, cytophylactic and antiseptic. Its application on skin moisturizes the skin, besides balancing the hydration levels and stimulating cell regeneration. Palmarosa oil also helps in clearing up minor infections and prevents ugly scarring in healing wounds. Palmarosa oil calms the mind, yet has an uplifting effect, while clearing muddled thinking. It is used to counter physical and nervous exhaustion, stress-related problems and nervousness. Palmarosa oil could be used with good effect on the skin, for nervous and stress-related problems and for the digestive system. Therefore, because of it’s utilities and uses in perfumery and pharmaceutical industry, it is in demand not just in the Domestic market about also internationally. Hence, Palmarosa Cultivation is highly beneficial for the Indian farmers. Palmarosa Oil has wide uses because of which it marketing is fairly easy. There are quite a few Merchant based in delhi & Mumbai was purchase Palmarosa in wholesale and there are also quite a producers also for Palmarosa. Therefore, in the coming decade, there are great possibilities of increasing the sale of Palmarosa. It has been proved that Palmarosa is useful from different aspects. Cultivation of Palmarosa can be done in a variety of soils in fact in infertile land also. Even if the Land has low water content and is less watered, Palmarosa can be cultivated. The plant of Palmarosa doesn’t get affected by diseases, the maintenance is low and because of its popularity domesticallyand internationals, marketing Palmarosa is also easy. Hence, its cultivation is extremely beneficial for farmers. Different Species of Palmarosa : I.W – 31245 and C.I. 80-68 produced by Indore Centre i.e. Motia and Sophia are the two varieties of Palmarosa. Trusha Vruta and P.R.C – 1 Motia is also popular about farmers. Manure/ Pesticides/ Fertilizers : For better yield in non irrigated condition use 12 kgs of Nitrogen, Phosphate (P2O5) and Potash per plant or between the trowel. The remaining part i.e. 6kgs should be given after a span of 30-40days. Seeding / Irrigation Process : Palmarosa can be grown in both well irrigated and non-irrigated conditions. In case of, not well irrigated conditions the yield depends on yearly rains but for well irrigated conditions, where the weather conditions are warm, then irrigate the land in intervals of 12-15 days or once in 3weeks for best yield. Flood irrigation is the best and modern way if irrigation for Palmarosa. Weeding Process : Weeding process should be carried 2-3 times to get rid of unwanted plants. Harvesting & Cleaning Process : For best yield of Oil from Palmarosa plant, start harvesting or cutting the plant immediately after flowering. Cut the plant 10-15cms from the ground level. Collect and mould the plant and store them in a cold place. Then through distillation process extract the oil from the plant. Availability of pamarosa Oil : Maximum oil is extracted from the Flowers and leaves of the plant and very less quantity of oil is extracted from the stem. The yield in the first year, 0.5-0.6% oil is extracted from the each plant .i.e. about 12-16kgs oil per plant in non-irrigated and 20-30kgs per plant in irrigated land. The yield in subsequent years goes up to, 20-30kgs per acre in non irrigated area and 40-45kgs per acre in irrigated conditions. In 1 acer at a distance of 40*40cms around 30,000 sapling can be grown. 30,000 * Rs.4/- per sapling (including transportation) = Rs.1,20,000/ expenditure. This expenditure is an one-time expenditure and the yield is for the next 5yrs. From 1 acer plantation, you can get Palmarosa oil within first 6 months and you get about 50 litres of oil and in the next 6months it goes up to 70 litres. In the first year of planting pamarosa you get about 120litres of Palmrosa Oil. 120 litres * Rs.1200/- per litre = Rs.1,44,000/- income per harvest.